OrangeShield Motor Covers are proven to reduce motor maintenance costs by shielding NEMA frame TEFC electric motors from falling, splashing, & spilling materials like paper stock, coal slurry, cement powder, & more. 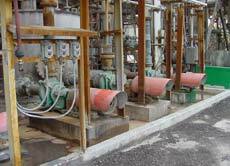 Motor failures are the single largest cause of unplanned shutdowns in pulp and paper mills, coal prep plants, and aggregates processing plants. 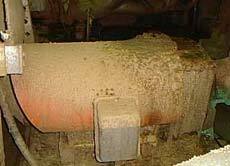 OrangeShield motor covers help you to prevent these costly shutdowns. 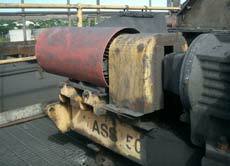 A West Virginia coal prep plant reduced motor failures by 60% after installing OrangeShield. What would a 60% drop in motor failures mean to your maintenance budget? OrangeShield Motor Covers are used by all major paper companies, all major coal companies, as well as phosphate, kaolin, aggregates and chemical industries. The simplicity of OrangeShield allows them a universal fit to all motor manufacturer brands including Baldor, Siemens, WEG, US Motors, Toshiba/Westinghouse, TECO, Reliance, Rockwell and others.